This is a tutorial that covers the entire process of setting up CentOS 6 and installing/configuring Apache, PHP, MySQL, SELinux and iptables, as well as securing the server. This tutorial will give you a base setup for running static as well as dynamic web sites using PHP and MySQL. This tutorial suits VPS or other low-memory configuration as well as dedicated servers. This tutorial assumes basic knowledge of shell/console usage and knowledge of one text editor. You need a freshly installed CentOS 6 installation to proceed (Minimal installation is recommended) Once you’re in a root shell, start reading below! Nano is very simple to use and has on-screen help at all times. Vim is a good editor, but has a slightly steeper learning curve. Here is a good tutorial. 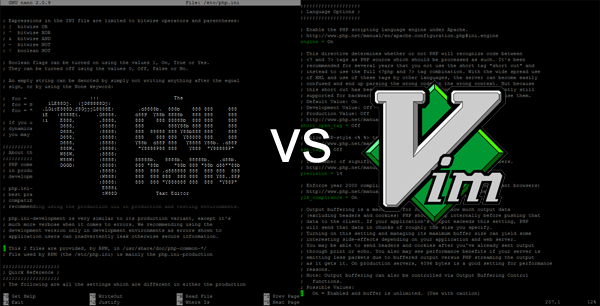 If you find it hard to choose, install and try them both by installing thei via Yum, the CentOS package manager! Since this is your first installation using Yum you may be prompted about importing a GPG key. Enter Y followed by the Enter key to accept. If you receive a response, skip the rest of this section as you have connectivity. If it fails, keep reading. Not having connectivity is most often due to the lack of a DHCP server running on the network to issue an IP to your server. If that is the case, you need to configure the IP manually. Here is a useful step-by-step tutorial for setting up static IP address on CentOS 6. I usually disable SELinux as it makes for some cryptic errors when running the LAMP stack. If you would like to have a go at running SELinux enabled with LAMP, here is a good article to get you started. Depending on the version of CentOS installed, you might need to change x86_64 to i386 in the URL to the repo. Your web server should now be reachable via http://<your-server-ip&gt; in a web browser. If you have started Apache but the server is not visible, you probably need to configure iptables. If you are going to be changing your SSH port (see separate section below), now is a suitable step to allow connections to the new SSH port. If you are currently on a SSH console, log out and log back on to your server using the new port. This section is optional, go to Step 10 to continue if you don’t want any extra packages. Simplifies file retrieval from the command line. You should install at least one of these. They are often included in your CentOS installation. Manuals for commands. Sometimes not included in minimal installations. If your server is not accessible with SSH/HTTP after reboot, there might be something amiss with the iptables settings. phpMyAdmin is a powerful tool for manipulating MySQL databases, let’s install it! According to this site, your password may contain up to 46 characters. It’s also a good idea to protect phpMyAdmin behind another layer, HTTP authentication. You can find out how to do that in this excellent tutorial. sudo allows a user to temporarily take on the role as root. Let’s make some sane modifications to the Apache configuration to improve default behaviour and lower the memory consumption. I am configuring this for a 512MB server, if you have more memory you may retain these values at their original settings or adjust them differently. Search for the AllowOverride directive in the configuration file. You will also need to uncomment the general AllowOverride declaration by removing the hashtag (#) in front of it. Find the IfModule prefork.c directive and change according to the example below. This reduces the memory footprint of Apache, in exchange for slower responses under heavy load. Change the KeepAlive directive from Off to On. Enabling KeepAlive improves the speed at which pages load, but may make your server crash under heavy load. See this blog post for some interesting etails. I like to set this pretty high, as you can limit the upload filesize in a PHP script should you need it. This limit controls the maximum amount of memory a single script is allowed to use. The default (128M) is sensible, but you can increase it if you have a good amount of memory. The default maximum script execution time is a measly 30 seconds. You can easily bump this to 300 seconds. The default maximum time to wait for POST and GET data is 60 seconds. File uploads are counted into this, so it is desirable to increase this to avoid errors when uploading large files. Speed up your PHP applications by installing the Alternative PHP Cache (APC). First we need to install some dependencies, then we will compile APC using PECL. Press enter multiple times when prompted to select options (this will pick the defaults.). Restart Apache and we’re done! Now you can navigate to /apc.php on your server to see the cache stats. To run mysqldump in a cron job (read more about cron jobs in Step 17), you need to set a username and password to the MySQL configuration file. It is not advisable to use the root user here, instead, you may use an account with global read privileges. If you want to use save memory (about 60-100 MB) and don’t need InnoDB tables, you may disable them by editing the MySQL configuration file. Virtual hosts allow multiple web sites to be served from a single Apache installation. The virtual hosts can be added to the end of the Apache configuration file. Setting up cron jobs is useful for scheduling tasks. For this we’re going to install CRON and Crontab. Here is a great resource for learning how to manipulate the crontab file. Remember that the scheduled commands are run as the user whos crontab they are in. For cron jobs that require elevated privileges, using the root crontab or changing file permissions may be necessary. This simple command will back up all databases to the file /root/sqldump.sql at midnight every day. Note: This requires you to set a [mysqldump] user, as advised in Step 15. Congratulations on setting up CentOS 6 with LAMP. The section below contains useful commands and other tweaks you can perform. Disk speed indicative of performance, different tests test different things, different on virtual environments (such as OpenVZ and KVM) and dedi, some tests might be better for some of them. We’d like for Apache to have as little access to the files it serves as possible. This limits the effects PHP and Apache exploits. That’s it for this tutorial! I appreciate any feedback you might have, so if something is unclear or can be improved, feel free to leave a comment!